Memorial Day is an indicator of the beginning of summer for all of us. A long winter has finally gone by, and now it is time to enjoy the warm breeze and long summer days! Outings and trips get marked down on your calendar, and what you need is a super unique and stylish but amazingly handy and sturdy canvas bag to bring with you to those places. 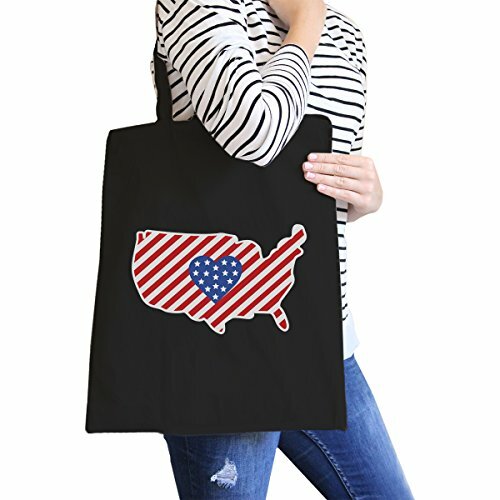 At 365 In Love/ 365 Printing Inc, we provide a wide selection of canvas tote bags designed specifically to celebrate Memorial Day, 4th of July, Independence Day, Veterans Day, and other patriotic holidays. These canvas bags are 100% cotton light-weight shoulder bags that bring convenience, versatility and practicality. All designs are created and printed in California, USA. These cute and funny canvas bags will be your perfect go-to bags for beaches, picnics, concerts, and all other events. Also, they can be a perfect gift not only for US army friends and family but also for those who love the country and are proud to be an American. Show your love and appreciation of this country with 365 In Love/365 Printing Inc-Start Shopping Now! If you have any questions about this product by 365 Printing 4th of July, contact us by completing and submitting the form below. If you are looking for a specif part number, please include it with your message.